Jefferson Park Neighborhood is holding its first EVER Rubber Ducky Race to highlight the flooding that comes from UA run-off. It only costs $5 to purchase a Ducky, so buy as many as you like. This is a fundraiser; monies will go towards constructing new water-harvesting basins and other neighborhood projects. This race is a pop-up event – we don’t know when it will occur. It depends on the rains. You will be notified on the day of the event by our Facebook page, our twitter account @joanchall #jpnarubberduckyrace, or by email. We have two Race Coordinators, who will be out in the pouring rain to watch the duckies race. Hopefully we will also have a couple of independent observers – contact Joan at joanchall@yahoo.com if you are interested in being a referee. The Ducky that goes the farthest along the route between Lester/Cherry and Grant/Vine wins first prize. And the prizes! 1st prize – A painted water harvesting barrel! 2nd prize – A quart of Arizona’s only local date vinegar, complements of Iskashitaa! 3rd prize – TBD. 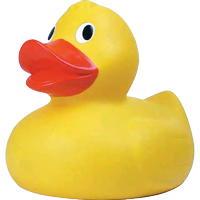 There will also be prizes for all duckies that end up in water harvesting basins along the Vine Av Green Corridor. For more details, ﻿download the Registration Form (DOC)﻿. To buy your Rubber Ducky for the 1st Annual JPN UA Floodwater Rubber Ducky Race, click the PayPal button below.